GAINESVILLE, Fla., April 27, 2018	(Newswire.com) - TradePMR will gather successful registered investment advisors (RIAs) from across the country to celebrate the firm’s 20th anniversary at their annual Synergy conference May 16-18 in San Diego, California. Today, the custodial services provider announced the lineup of keynote speakers and agenda intended to arm growth-minded advisors with tools and resources needed to streamline their businesses and navigate headwinds. This year’s conference theme “Get There” will steer conversations during the conference’s robust three-day agenda. Synergy 2018 attendees will benefit from a lineup of experts from in and around the financial services industry. TradePMR founder and CEO Robb Baldwin, formerly a practicing advisor, will kick off the conference, focusing his comments on challenges in building a business in the digital world to better serve clients. The New Frontier: Bill Coppel, Chief Client Growth Officer at First Clearing, leads First Clearing’s organic growth and productivity initiative, as well as thought leadership efforts, brand positioning and market strategy. Cyber Fraud Prevention: Jeff Lanza, retired FBI agent and author, is an internationally recognized speaker on the topics of cybercrime, leadership, crisis communication, ethics, identity theft and body language. Common Technology and Practice Management Mistakes and Opportunities: Joel Bruckenstein and Bob Veres, considered by many to be two of the most recognized names in the financial planning consulting profession. Buckenstein is the founder of T3 Technology Tools for Today and host of the T3 Technology conferences. Veres is publisher of Insiders Information, a columnist currently for Financial Planning magazine and host of one of the annual Insiders Forum. Creating a Nation of Millionaires: Dr. Robert Genetski is an accomplished author, professor, registered investment advisor and a proponent of classical, free-market economic principles. New in 2018, attendees are invited to a three-hour Branding Reception. During the reception, advisors will receive real-time branding guidance from marketing experts. Advisors will have the opportunity to refresh their professional headshot, receive website analysis and social media consultation, learn about digital marketing and network with sponsors and peers in a more conversational setting. A number of Soap Box Talks will also occur during the Branding Reception. Details about Synergy including the complete list of speakers, full agenda and event registration is available at https://synergy.tradepmr.com. For breaking news and conference updates, follow the official Twitter hashtag #TradePMRSynergy. Sponsoring companies include: FirstClearing^, Ascendant Compliance Management, Black Creek Group, Cion Investments, JVB Financial Group, Nationwide, PPC Loan, Asset Map, CalSurance, Myraid Advisor Solutions, Oranj, PIEtech, Probabilities Fund, Redtail, Resource Real Estate, Riskalyze, Snappy Kraken, Sumridge Partners and YCharts1. Members of the media may request a press pass via email at jessicashores@impactcommunications.org. For nearly two decades, TradePMR has addressed the technology and support demands of financial advisors with solutions that are easy to implement and user-friendly. The privately held introducing brokerage firm (Member FINRA/SIPC), founded and located in Gainesville, Florida, has maintained a singular focus of providing brokerage and custody services and support to independent registered investment advisors (RIAs) and their clients. The firm delivers an integrated cloud-based workstation that enables RIAs to efficiently run their practices and be more effective. 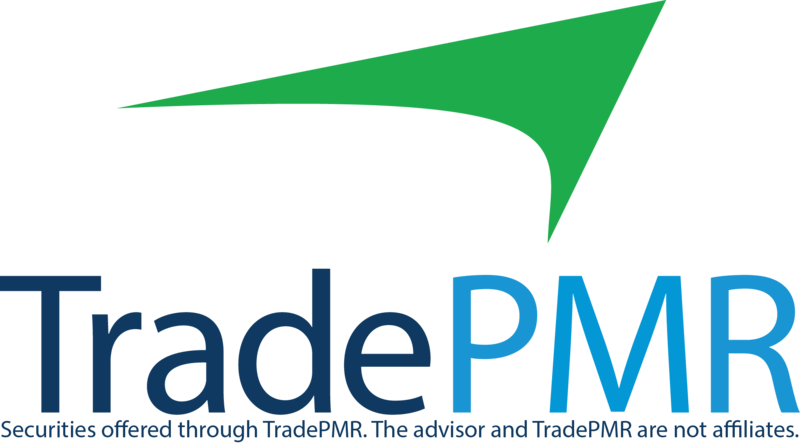 More information is available at www.tradepmr.com. ^ First Clearing is a trade name used by Wells Fargo Clearing Services, LLC, Member SIPC, a registered broker-dealer and non-bank affiliate of Wells Fargo & Company. 1The companies listed are not affiliates of TradePMR. Securities are offered through TradePMR.